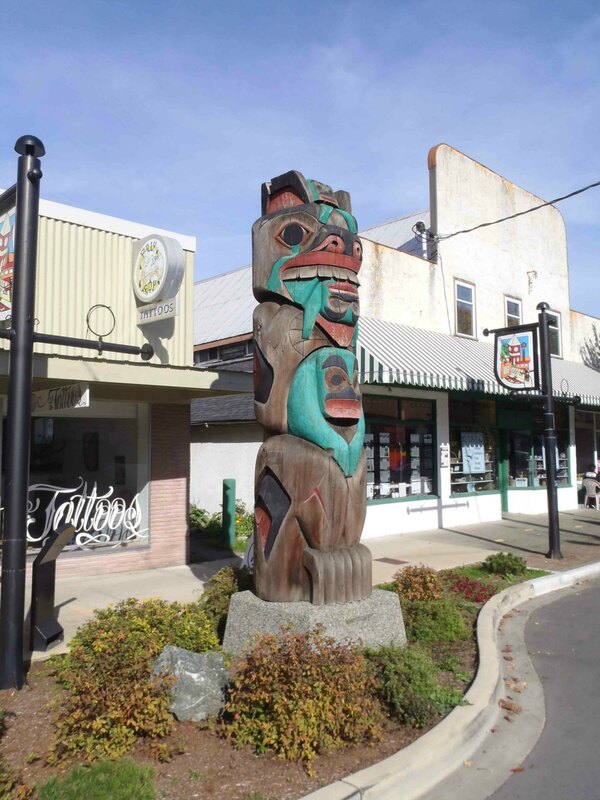 The Abolishment Pole was carved in 1990 by Don Smith (Si-yaaxaltun) for the City of Duncan. 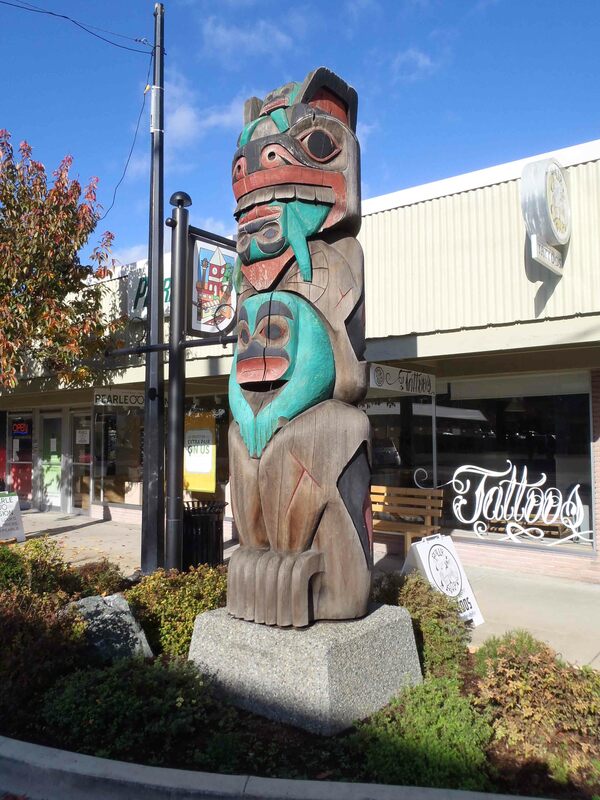 The pole is 3.7 m (12 feet) in height and depicts four figures: two Frogs, the Bear and a Youth. 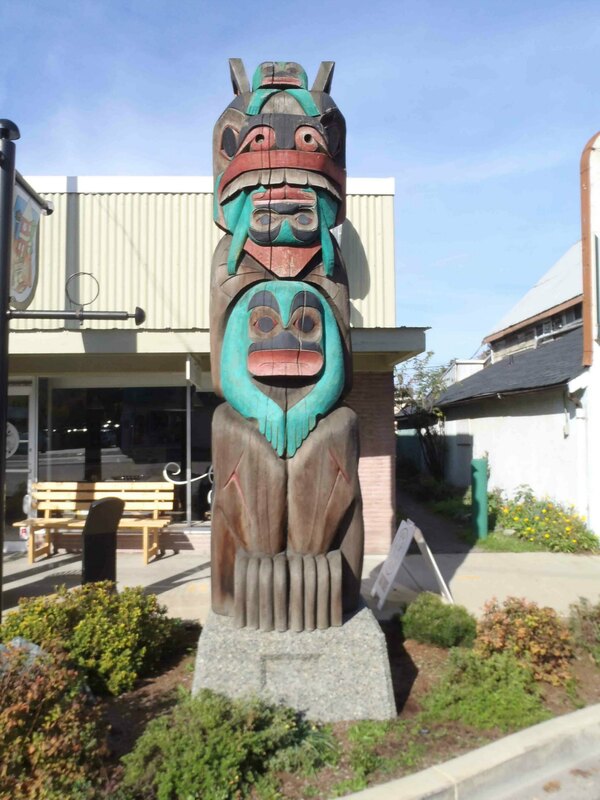 It is displayed on Station Street near the intersection of Government Streey. “The Bear represents strength. 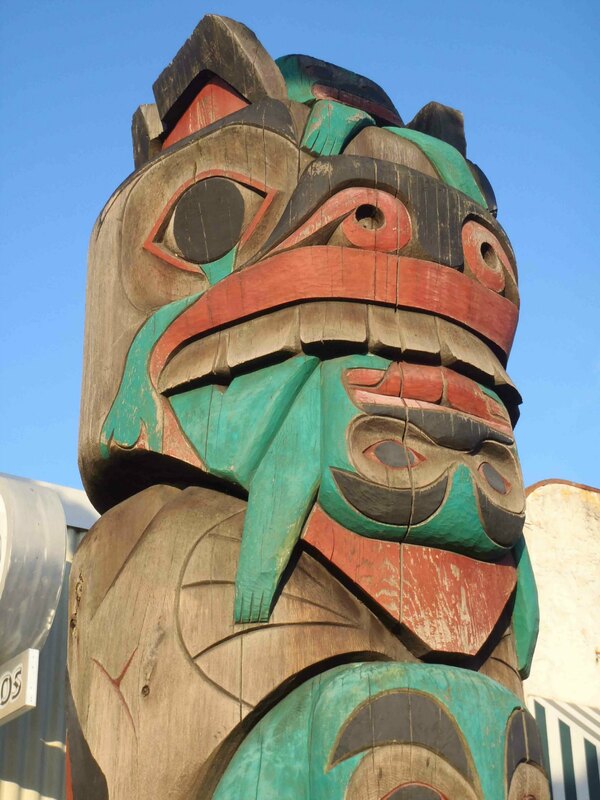 In this story the Bear is a Clan member; the Frog represents luck, wealth and the end of the winter season. A youth had been terrorizing the tribe for some time. He never listened to his parents or the elders. A council was held to discus the matter. A final chance was given to the youth to turn things around for the better. This chance was ignored and it was then determined that the youth would be abolished from the tribe (this usually happened for very serious acts). The youth walked aimlessly until his demise. he was later discovered in a pond, his entire body covered with Frogs. The Frogs express the feelings in this story, sorrow, being content and the demise of the youth.